Leatrice Joyce Hardy, 86, passed away on Saturday at her home surrounded by her family. 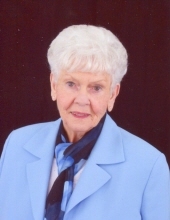 Joyce was born in Wayne County on April 6, 1932 to the late Blaney Coats, Sr. and Roxie Faircloth Coats. She was a valued employee of A & H Upholstery in Goldsboro. Joyce was a member of Grace Baptist Church. She was the kindest and most loving mother and grandmother and a great friend to everyone. Joyce will be missed by all who were blessed enough to know her. A service to celebrate Joyce’s life will be held by the graveside at 1:30 p.m. on Wednesday, October 24, 2018 at Wayne Memorial Park with Rev. Jason Stoeber officiating. The family will greet friends following the service at the cemetery. Joyce is survived by her husband of 57 years, Willie Hardy; children, Yvonne and Richard of Grimesland, Gail and Jack of Ayden, Robin and John of LaGrange, Kim and Rick of Goldsboro, and Randy and Beverly of LaGrange; her sister, Joan Worley of Princeton; seven grandchildren and nine great-grandchildren. In lieu of flowers, the family suggests memorials be given in her memory to Grace Baptist Church, 1715 Royall Avenue, Goldsboro, NC 27534. To send flowers or a remembrance gift to the family of Joyce Coats Hardy, please visit our Tribute Store. "Email Address" would like to share the life celebration of Joyce Coats Hardy. Click on the "link" to go to share a favorite memory or leave a condolence message for the family.